The pictures above, of two well-known political figures, come from a column in The New York Times, "Trump vs. Ocasio-Cortez: Who Will Win the Internet?" The columnist, Kara Swisher, covers technology for The Times, and sums up the discussion this way: "They both know how to control the narrative. But one of them comes across as a human being and the other as a cartoon bobblehead." I'll let you guess which one is the bobblehead, in Swisher's estimation! Swisher says that President Trump has been quite effective in using the Internet (and specifically Twitter) to govern the nation. In an earlier column, "All Text and No Subtext," Swisher says, in fact, that "we are now a government of the Twitter, by the Twitter, and for the Twitter." 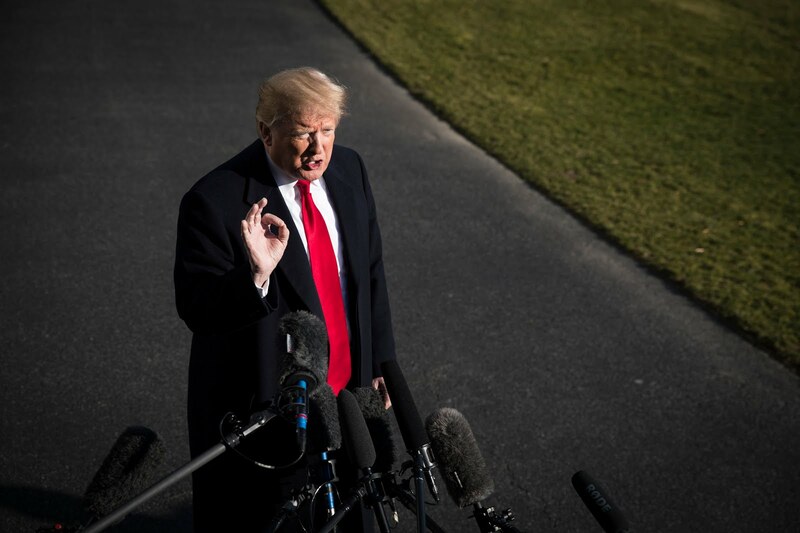 Swisher's recent column advises that Trump has more than met his match in Ocasio-Cortez, because Ocasio-Cortez is "extremely online," and President Trump isn't. “Extremely Online” — typically capitalized — is usually defined as conducting as much of one’s life online and having as little human contact as possible. But Ms. Ocasio-Cortez embodies and morphs the concept like the digital native she is, meaning simply that she speaks the language of the internet fluently. That was made clear by her ability to turn a video of her dancing in a “Breakfast Club” homage at Boston University — posted to hurt her — into a transcendent meta-meme last week. It was accomplished by her offering an expertly rendered bookend, a decade later, as she danced to “War (What Is It Good For)” right by the plaque with her name on it outside her Capitol Hill office. 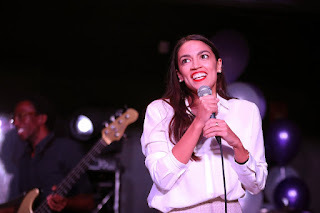 And more: Ms. Ocasio-Cortez has done live conversations that include both cooking tips and policy pronouncements, has posted stories of her congressional experience the way others post vacation or holiday or food photos and has clapped back expertly in pithy tweets at whatever gets dished out at her by the right. What she is doing is significant for politics, because of one key thing: She has made digital depictions of herself seem very analog. In other words, she is perfectly human online. Any genuine politics, ultimately, does not take place "online." Life (and politics) is "analogue." I am glad that Ocasio-Cortez is "winning the Internet," in her contest with our bobblehead president, but I am most concerned that we don't all think that "winning the Internet" is what we need to do to maintain an effective system of democratic self-government in these United States!